My Student Essentials is the first choice for students needing their essential University items. 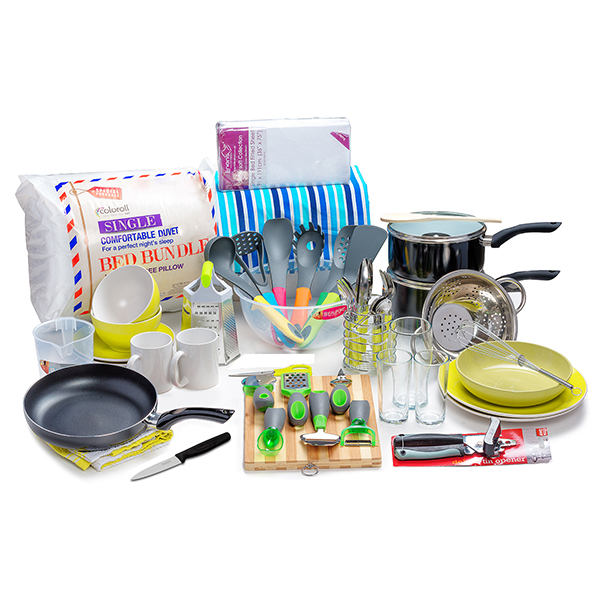 We offer student bedding, student kitchen packs and other uni essentials in easy to order packages for your ultimate convenience, if you need a quality Uni pack delivered straight to your halls or your home before you leave for University order from My Student Essentials Today. We can deliver your Uni Kit at a time and day that suits you, 7 days per week and before 9am if you need. We work with Universities across the UK to deliver your Uni Pack on time and in one piece! Do you need anymore information about our University packs? Email us today – info@mystudentessentials.co.uk. We are happy to answer any questions you may have about your Uni Bedding or Uni Kitchen Sets, all of our Student packs are high quality and built to last the entire time at Uni. You can choose from Luxury Student bedding – available in all sizes, Luxury Student Kitchen packs and our luxury student all in one package. Whichever Uni pack you choose, rest assured you will have quality items perfect for University. Choosing your University Starter pack just got so much easier! Order now with confidence on our secure website for all of the University Kit you need. Perfect as a going to university gift, for your son or daughter or a student who doesn’t want to shop around for all of the University essentials you need. If you are unhappy with your University Kit or need to change bedding or kitchenware please contact us today, we are always here to help. Our dedicated customer service team is there to make sure you get all of your Uni Pack on time and in one piece.